GAZA CITY (Ma’an) — Several Israeli bulldozers entered the Shujaiyeh neighborhood east of Gaza City Friday morning, crossing several meters into Palestinian land while searching the area, witnesses said. Israeli spokesperson for Coordination of Government Activities in the Territories (COGAT) did not have any information on the incident. Israeli forces enter the Gaza Strip on a near-daily basis in contravention of international law, with Israeli forces opening fire at civilians in the “buffer zone” on land and sea over ten times between May 26 and June 1, according to the UN Office for the Coordination of Humanitarian Affairs.The Shujaiyeh neighborhood is home to around 100,000 residents struggling to rebuild several months after the last war between Israel and Hamas over the summer.The neighborhood made international news after coming under heavy Israeli airstrikes and shelling in an onslaught Palestinians refer to as the Shujaiyeh massacre. At least 120 Palestinians were reported dead, many of which were civilians, with 13 Israeli soldiers also killed. In 2008, he says, he informed Ammar Saleh three times about al-Qaeda’s plan to attack the US embassy. He even alleges that Ammar Saleh supplied cash to pay for the bomb’s construction. If Mujahid’s testimony is to be believed, Saleh’s regime not only had detailed intelligence and ample time to disrupt the plot, but it actively assisted an attack that killed a dozen people. This is the first time anyone has implicated a named member of Saleh’s regime in the 2008 US embassy attack. But it is not the first time the regime has been suspected of involvement. In truth, US officials suspected President Saleh’s complicity in the attack for a number of reasons. Rick Schwein, interviewed in Al Jazeera’s film, reveals that three days before the embassy attack, Saleh’s security forces had removed barriers blocking traffic in front of the embassy, without which al-Qaeda could not have approached the gate with a bomb-laden vehicle. A number of sources interviewed in the film suggest that Saleh used the threat of al-Qaeda to “shake down” the US government, requesting ever larger sums of counterterrorism funding in what amounted to a protection racket involving threats that the regime was actually controlling. 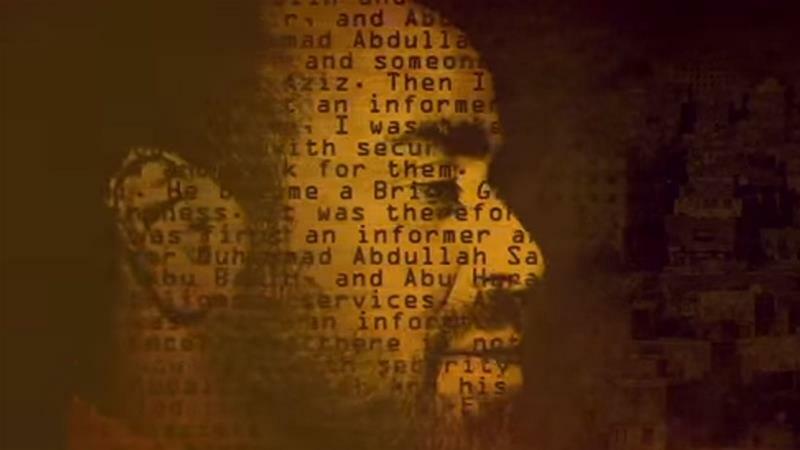 In the final analysis, the reliability of Mujahid’s testimony in “Al-Qaeda Informant” may depend upon his own integrity. GAZA CITY (Ma’an ) — Nearly 200 Gazans headed to Jerusalem to perform Friday prayers in the Al-Aqsa Mosque early Friday. Sources at the Palestinian liaison told Ma’an that 190 Palestinians above the age of 60 left the coastal enclave via the Erez crossing into Israel to visit to the Aqsa compound, regarded by many Muslims as the third-holiest site in Islam.Weekly access to the mosque by Gazans has become routine since October 2014 when some 500 Palestinians in Gaza prayed at the mosque for the first time since 2007, having been prevented by Israel from traveling to Jerusalem since that time.The decision to allow Gazans to travel to al-Aqsa was reached part of the ceasefire deal between Palestinian militant groups and Israel that ended the more than 50-day war over summer in which Israeli bombardment killed more than 2,200 Gazans.Friday’s worshipers will return to the Gaza Strip right after Friday prayers before the Erez crossing between Israel and Gaza closes for the weekend. Beirut (AFP) – The head of Lebanon’s powerful Shiite movement Hezbollah threatened on Friday that his group would displace “millions” in Israel if the Jewish state attacks Lebanon. Hassan Nasrallah made the threat in a televised address weeks after an Israeli army official warned that Israel would “have to” target civilian areas in Lebanon in a future confrontation with Hezbollah. “If they threaten to displace 1.5 million Lebanese, then the Islamic resistance in Lebanon (Hezbollah) threatens to displace millions of Israelis,” Nasrallah hit back. “We are not afraid of your war or of your threats,” he said. For more than two years, Hezbollah has been fighting in Syria on behalf of embattled President Bashar al-Assad. Speaking to journalists on May 13, the Israeli army official said all villages in south Lebanon are a “military stronghold” where Hezbollah stockpiles rockets capable of hitting his country. “Each (village) is a military stronghold. Next time we have a war with Hezbollah, we will have to attack each one of these targets, and we hope the population will not be there,” he said. Hezbollah fought a deadly month-long war with Israel in the summer of 2006 which killed more than 1,200 people in Lebanon, mostly civilians, and some 160 Israelis, most of them soldiers. Nasrallah also spoke about Hezbollah’s ongoing battle with Al-Qaeda’s Syrian affiliate, Al-Nusra Front, in the Qalamun region that straddles the Syrian-Lebanese border. He said Hezbollah had managed to “liberate dozens of square kilometres” of land in the area, pushing back Al-Nusra Front and its allies. And he vowed that Hezbollah will next turn its sights on the Islamic State group which has seized chunks of Syria and Iraq. “The next battle is in the… parts (of Qalamun), which are controlled by Daesh,” he said, using the Arabic acronym for IS. “Daesh is on our borders,” he said, branding the group as a “threat” to Lebanon’s existence. 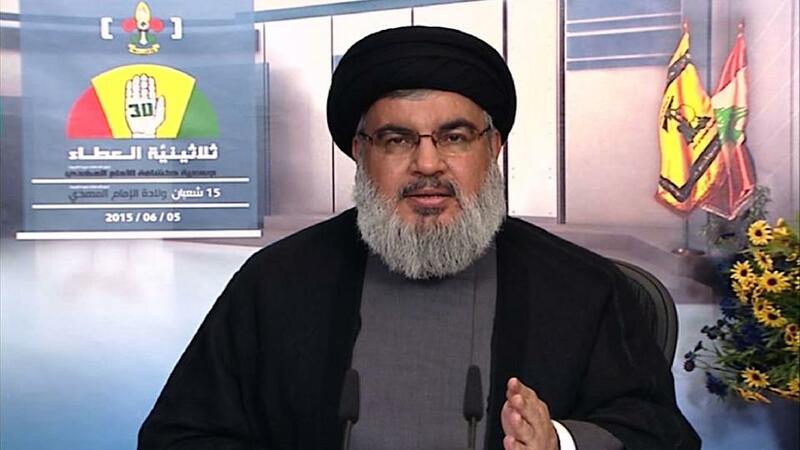 Hezbollah insists it is fighting in Syria to prevent extremist groups from entering Lebanon. On Friday, the Syrian army said it had seized numerous villages and strategic hilltops in Qalamun with Hezbollah’s help, Syria’s state television reported. The army statement said it was “tightening the noose on terrorist positions” in the area. 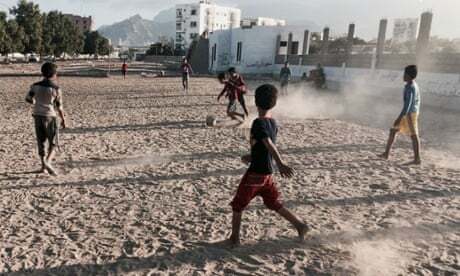 The desperate shortage of food, water and medical supplies raises urgent questions over US and UK support for the Arab coalition’s intervention in the Yemeni civil war since March. 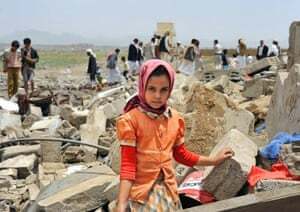 Washington provides logistical and intelligence supportthrough a joint planning cell established with the Saudi military, who are leading the campaign. London has offered to help the Saudi military effort in “every practical way short of engaging in combat”. GAZA CITY (Ma’an) — Israeli authorities on Friday granted Palestinian businessmen from the Gaza Strip permits for the first time since 2007, officials at the Palestinian liaison said.An official told Ma’an that Israel granted 90 “BMG” permits to Gazan businessmen to facilitate their movement for 6 months.Businessmen in Gaza have previously been granted “BMC” permits. A BMC permit allows its holder to enter Israel through crossings or checkpoints used by Israelis, for example to travel via Ben Gurion airport in Tel Aviv.The permits were changed however to “BMG” permits, which last for six months rather than a couple days according to COGAT guidelines for administering the permits. Carriers of BMG permits enable the business persons to enter Israel as well to travel via Allenby bridge as “VIP” travelers, however travel via Israeli airports requires a separate approval process.The new permits are being issued amid a reported increase in the detention of Gazan business workers at the Erez crossing in March and February of this year.”The Erez crossing has become a trap for Gaza merchants who have newly received entry permits from Israel,” a Palestinian liaison official told Ma’an after an electronics salesman was detained in March. Israel, he added, had recently started to issue entry permits to new Gaza traders while veteran businessmen were being denied entry.Palestinians detained at Erez are often interrogated for several hours, sometimes even for days, before they are either allowed into Israel en route to the West Bank or sent back to Gaza. BETHLEHEM (Ma’an) — PLO chief negotiator Saeb Erekat marked the 48th year of Israel’s military occupation of the West Bank, East Jerusalem, and Gaza Strip on Thursday by calling on the international community to end Israel’s impunity for gross rights violations.”The Israeli government, headed by Benjamin Netanyahu, is determined to undermine the Palestinian right to live in dignity, and is obstructing our right to self-determination,” Erekat said.”We will continue to halt any attempts by Israel to erase and bury Palestinian national identity by prolonging its occupation of our land. The world is accountable for the ongoing crimes committed against our people.”The PLO official called on the international community, particularly the United States, to end impunity for Israel’s actions, including the illegal settlement enterprise.Over 700,000 Palestinians fled or were forcibly displaced from their homes during the Nabka, or catastrophe, of 1948 which saw Israel’s founding as state.In 1967, many of those refugees become displaced for the second time as Israeli military forces occupied the West Bank, East Jerusalem, and Gaza following the six day war which began on June 5.Israel’s government has never recognized the role of Jewish militias in the forced displacement of the Nakba and does not recognize East Jerusalem as occupied territory, referring to the whole city as its “unified capital” following its annexation in 1980.It has also built around 223 Jewish-only settlements — including both government-sanctioned and unofficial settlement outposts– located in the West Bank and occupied East Jerusalem, where more than 550,000 Israeli settlers reside, according to rights group Al-Haq.The Palestinian Central Bureau of Statistics in May said it has recorded a Palestinian population of 12.1 million people worldwide, 7.5 million of which live outside of the occupied Palestinian territories.The majority of Palestinians living in exile reside in 31 UN-installed refugee camps in Jordan, Lebanon and Syria, with UNRWA, the world body’s aid agency for Palestinian refugees, having 5.49 million people registered on its books.In a statement, the head of the statistics bureau said that in 1948, “1.4 million Palestinians lived in 1,300 towns and localities in historic Palestine.”During the war that led to the establishment of state of Israel, “Israel took control of 774 towns and villages, destroyed 531 and committed 70 killings and massacres in which 15,000 people died,” she said. On that day in Israel there was a coup organized and executed by the IDF’s top generals and other security chiefs without a shot being fired. They required Prime Minister Levi Eshkol to form a unity government and bring into it as minister of defence Israel’s one-eyed war lord, General Moshe Dayan. Up this point Eshkol had been both prime minister and minister of defence; and for two years Dayan had been in the political wilderness, devoting his time to archaeology. Effectively Eshkol was stripped of his command of Israel’s war machine. The problem with Eshkol for Israel’s military and other security establishments was that he didn’t want Israel to go to war because he knew the assertions of its hawks that the Arabs were about to attack were propaganda nonsense (more on this in a moment). He also understood and accepted the advice given to his foreign minister Abba Eban by French President Charles de Gaulle. In a conversation with Eban in Paris de Gaulle said Israel should not go to war because, if it did, it would create Palestinian nationalism which would never go away. (In my opinion that was the best advice anybody ever gave Israel). But even more to the point was that Eshkol believed Israel should not take more Arab land and be prepared to make peace on the basis of the Zionist state’s borders as they were. And that was the main reason why the hawks, military and political, wanted Dayan as minister of defence (for which read attack) in a unity government. They knew he would take Israel to war to complete Zionism’s unfinished business of 1948 – grabbing more Arab land including and especially the West Bank. Another important aspect of the whole truth about how the stage was set for war in June 1967 is that Israel set a trap for Egypt’s President Nasser. And the key to understanding here is the fact that that on 4 November 1966 Egypt and Syria signed a Defence Agreement, in the hope on Nasser’s part that it would enable him to prevent war. The problem from then on for Nasser was that if Israel did attack Syria he would have to make a choice – either to be seen to be going to the defence of an Arab state under attack or to do nothing and lose face and his credibility as the leader of the (so-called) revolutionary Arab world. It was after the signing of the Defence Agreement between Egypt and Syria that Israel began to set its trap for Nasser by provoking cross border shootings with Syria. These provocations climaxed on 7 April 1967 when, in the course of a seven-hour battle, Israeli mirages shot down six Syrian MIG 21s. Two of them were shot down over Damascus with the debris falling on the outskirts of the city. It was a very public humiliation for Syria’s leaders. After that Israel put extraordinary effort into making the Arab world and the Soviet Union believe that it was going to invade Syria at a time of its choosing. (I tell the full story of this great con in America Takes Sides, War With Nasser Act II and the Creation of Greater Israel, Chapter 1 of Conflict Without End?, the sub-title of Volume Three of my book Zionism: The Real Enemy of the Jews). In reality the real purpose of Israel’s provocations on the Syrian front and their supporting propaganda was to force Nasser to make a military move which Israel’s hawks could present as proof that the Arabs were intending to attack Israel and that its very existence was in danger. When Nasser ejected the UN peacekeepers, put two divisions into the Sinai right up to Israel’s border and closed the Straits of Tiran, he had walked into Israel’s trap. But he did so with both eyes open. He knew the Johnson administration knew that neither he nor any other had Arab leader had any intention of attacking Israel, and that the actions he had taken and the deployments he had made were for face-saving reasons; and he invested his hope in the idea that U.S. would cause the growing crisis to be resolved by diplomacy. But Israel’s hawks were never going to allow that to happen. Let’s now return to Dayan’s hi-jacking of Israel’s defence/war policy. From the moment he became defence minister he demonstrated that he was themaster (not a master) of deception. On Friday 2 June, Dayan’s second day as defence minister, the beach and streets of Tel Aviv (where many foreign correspondents were based in two hotels) were suddenly alive with soldiers returned from the frontlines. They were swimming, playing on the beach, strolling and drinking in the pavement cafes of Dizzengorf Street. This was evidence – even proof – that Israel was not, after all, going to war. Contrary to expectations, Dayan was standing down the IDF. Now that he had the prime responsibility for Israel’s security, he wanted to be seen to be giving diplomacy a chance. The two weeks of waiting since Nasser had closed the Straits of Tiran were ending with an anticlimax. Message: no war. Somehow the dovish Eshkol had finally got his way. Or so it seemed. Most foreign correspondents were fooled. Some called for their bills and, after filing their “No war” stories, booked the first available flights out of Israel. Other battlefields were calling. There were two reasons why I believed that the recall of many Israeli soldiers from their frontline positions was a brilliant Dayan deception strategy. That judgement was confirmed in my own mind by what I witnessed when just before midnight on Saturday 3 June I took a stroll through one of central Tel Aviv’s main residential areas. The following is what I saw. Away from the lights of the empty, quiet streets, blacked out, single-decker buses were strategically parked. The only sign of life in one was the glow of a driver’s cigarette. Then, as though on cue, and actually following the script Dayan had written, apartment doors opened. The last hugs and kisses had obviously taken place inside. There were no goodbyes in the doorways. Just a quick burst of interior light as each door was opened and quickly shut again. Silently, in ones and twos, like ghosts, the soldiers who had come home on Thursday were returning to their frontline positions. As they neared their assigned buses, the ones and twos became groups. And they spoke not a word to each other. My “Shaloms” drew no response. I didn’t think the military censor would let me say “Israel is going to war tomorrow morning”, but since I was in Israel, that was my meaning, obviously. The censor’s office was in a building close to the Ministry of Defence. In the late afternoons for the past two weeks it had been a madhouse as scores of foreign correspondents scrambled to get their copy cleared to beat deadlines around the world. There was never any point in losing one’s cool with Israeli military censors. Even if you thought their decisions were bizarre or stupid. But that didn’t stop many reporters from shouting and screaming at them. On this particular afternoon there were no other reporters around – no war, no reporters – and there was only one censor instead of the usual three or four on duty. “Squeezed out” meant they had intended to run it. They had been prepared to back my judgement even though all other reporters and diplomats in the major capitals of the world were saying “No war”. But two civilian airliners had crashed – one in the English midlands and the other in France. From both locations there had been miles of dramatic film footage (moving pictures in every sense of the word) of the wreckage and distraught relatives of the dead and dying. My speculative story had not had a chance in a short Sunday evening bulletin. At 07.45 the following morning Israel went to war. Fate had denied me the scoop of a war correspondent’s lifetime. Israel’s immediate justification for its action was that it had been attacked by Egypt. When it quickly became obvious to all who mattered in the major capitals of the world that Israel was lying, the story changed. Israel had had to take pre-emptive action because the Arabs were going to attack. That, too, was propaganda nonsense. In conclusion for now I’ll put some flesh on the bone of my headline for this article. If the statement that the Arabs were not intending to attack Israel and that its existence was not in danger was only that of a goy, it could be dismissed by Zionists as anti-Semitic conjecture. In fact the truth of ithas been admitted by some of the key Israeli players. Here is a short summary of some pertinent, post-war Israeli confessions. It is not surprising that debate in Israel was shut down before it led to some serious soul-searching about the nature of the state and whether it should continue to live by the lie as well as the sword; but it is more than remarkable, I think, that nearly half a century after the events the Western media continues to prefer Zionist mythology to the reality of what happened in 1967 and why. When most reporters and commentators have need today to make reference to the Six Days War, they still tell it like the Zionists said it was in 1967 rather than how it really was. Obviously there are still limits to how far the mainstream media is prepared to go in challenging the Zionist account of history, but it could also be that lazy and ignorant journalism is a factor. For those Western journalists and politicians who might still have doubts about who set up and started the Six Days War, here’s a quote from what Prime Minister Begin said in an unguarded, public moment in 1982. “In June 1967 we had a choice. The Egyptian army concentrations in the Sinai approaches did not prove that Nasser was really about to attack us, We must be honest with ourselves. We decided to attack him.”. Another way of putting it and which is completely true is that what happened in June 1967 was a war of naked Israeli aggression not self-defence. And it, the Zionist monster state, has still not been called to account for that crime. In late May, the European Union extended its sanctions against Syria. For its part, the United States started in those days its program to train “moderate” armed elements who should allegedly fight against ISIL, but whose real goal is to overthrow the Syrian government. The European Union and the United States claim to support the war against ISIL but they never mention the other big terrorist group, al-Nusra Front, the branch of global terrorist movement al-Qaeda in Syria. All the statements by Western countries in which they say they are concerned by the expansion of terrorism in Syria, Iraq or other Middle Eastern nations never refer to al-Qaeda or its affiliate, al-Nusra Front. Has the West forgotten the 11-S attacks? In 2001, al-Qaeda was the West’s big enemy and the target of the so-called “war on terror”. Now, al-Qaeda is openly cooperating with some US allies in the Middle East, which are openly sponsoring terrorism in Syria. The US and the EU are doing nothing to stop this support even though it would be very easy for them to do so. There seems to be an attempt by some Western countries, especially France and the United States, to recreate the failed strategy put into practice in Afghanistan in the 1980s that is to support terrorists against its international and regional rivals, not caring about the consequences for the peoples of the region and, ultimately, for Western countries themselves. Turkey, Saudi Arabia and Qatar have become the leading sponsors of terrorism in the world. However, none of them have been included in a US or EU list. Funnily, the US list includes Iran and Syria, two of the countries, along with Iraq, which are the main actors in the war against terrorist groups in the Middle East, which are supported by the US and its allies. Recently, Turkey sent thousands of terrorists through the border to Syria in order to launch an offensive in the province of Idlib, whose territory is now in the hands of al-Nusra Front. A recent video published by Turkish daily newspaper Cumhuriyet shows Turkish state intelligence agents participating in smuggling of arms across the border to terrorists. For its part, Qatar and Saudi Arabia have launched a media campaign to try to clean up the image of al-Nusra Front. Last March, some media belonging to the Persian Gulf Arab states claimed that this organization could “break its ties” with al-Qaeda, led by Ayman al Zawahiri, without changing its doctrine, and form a new organization supported the Persian Gulf monarchies. According to Reuters, citing sources of al-Nusra Front, an officer of Qatar intelligence service met on several occasions with the leader of al-Nusra Front, Abu Mohammad al-Jolani. Funding was promised if the separation was announced. A new umbrella group would be created in order to hide names as al-Qaeda or Al-Nusra Front as much as possible. Therefore, the “al-Jaish al-Fateh” (The Army of the Conquest) came out in the Syrian battlefield. It is made up actually by al-Nusra Front and other smaller groups. The change of name deceived nobody. Al-Nusra Front, however, rejected to distance itself from Al-Qaeda. This decision was made public in a statement quoted by Reuters. In spite of it and of being included in the UN list of terrorist groups, it is clear that al-Nusra Front has not suffered an interruption of aid from countries such as Turkey or Qatar. Last week, Al-Jazeera, which has been accused by many governments of supporting and spreading terrorist propaganda, aired an interview with Jolani, in which he tried to give a “new image” of his group, known by its countless atrocities on Syrian soil. Actually, a careful analysis of Jolani’s interview clearly shows Al-Nusra’s sinister and criminal ideology and plans for Syria. It highlights the horrible fate that awaits the peoples of the region if they ever fall under the control of Takfiri groups. In the interview, Jolani claimed that his group was not “a fringe element” of the “Army of the Conquest” but its “spearhead,” and added that “everyone knows it”. It was a revealing statement making it clear that “moderate” fighters supported by the US and France are only mere tools or puppets of al-Qaeda and extremist Takfiri groups in Syria. Many of them even share their ideology. Therefore, there is no “moderate armed opposition” in Syria. Jolani threatened other groups if they refuse to submit to Al-Nusra Front and did not rule out the possibility of conflicts. However, he rejected to criticize the ISIL, which shares the same Wahhabi ideology, although he regretted that that group adopted a strategy that implies to attack al-Nusra Front “in order to take advantage of the situation”. Al-Nusra’s brutal approach on religious minorities could be clearly seen in the interview. Jolani sought to reassure that his group would not wipe out these minorities “as long as they were willing to convert to” Wahhabism. As brutal as these “moderate and reassuring” plans may seem, the reality is even worse. In December 2013, al-Nusra Front fighters abducted 13 nuns and three maids in the Christian town of Maaloula amid fighting with Syrian forces. “We all know that if they come, they will slit our throats for no reason,” a Lebanese Christian from the border town of Qaa told the Associated Press last September. He added that he had decided to join self-defense groups in order to fight against Wahhabi terrorists. Tellingly, the word “Israel” was not uttered by Jolani even once during the interview. Clearly, the Zionist regime does not top the priority list of Syria’s al-Nusra Front, which receives medical and other kinds of support from the Israeli army. Therefore, by allowing their allies -Saudi Arabia, Qatar and NATO-member Turkey – to fund and arm these groups, by trying to weakening Syria through sanctions and by training and funding “moderate” armed groups which openly cooperate with al-Qaeda on the ground- the United States and the European Union are not only guilty of the mass murdering of Syrian people but also of the creation of a future huge threat to the West. The apparition of two terrorist statelets, in Idlib and Eastern Syria, ruled by Al-Qaeda and the ISIL respectively, will work as a magnet for extremists from Western countries and will allow terrorist groups to build a deterrence against future international actions to contain terrorists activities. Western countries have promoted the dangerous fiction of the existence of a “moderate armed opposition” in Syria. Actually, there are no “moderate terrorists” in Syria. All of them share the same extremist ideology and want to build an extremist state, a Wahhabi dictatorship, which would rule Syria through terror. States that have rightly put al-Nusra Front and other groups like it on their lists of terrorist organizations are, however, supporting their media and military campaign to overthrow the Syrian state. This is the case of France, which has again sold his soul in exchange for some juicy contracts signed by President François Hollande during his recent travels to Qatar and Saudi Arabia. The US and France have sent arms to these groups knowing that many of them will end up in the hands of al-Nusra front and ISIL. Meanwhile, it is the Syrian government, people and army who will fight and defeat the terrorist groups. They know the only alternative is to become slaves of brutal terrorist groups guided by a not less cruel ideology. Syria is aided in this fight by responsible powers such as Russia and Iran. Recently, Russian Foreign Minister Sergei Lavrov warned that terrorism in Syria will not be defeated by airstrikes and “to realize that mission, land military operations are a necessity”. “I do not think how we could do that without the participation of the Syrian government,” Lavrov said. He also inquired why Washington does not see the Syrian government as a partner in fighting ISIL although it did not see any obstacles when Damascus cooperated with the international community in eliminating the chemical weapons.